Onkyo's TX-RZ800 marks a break from the brand's typical AVR design, offering an oversized volume dial and a pimple rash of tiny buttons. As a fashion statement, it must be said it’s not particularly pretty, but it is at least different. Other changes are less obvious. The RZ800 is a seven-channel design, which allows for either a conventional 7.1 layout (with side and rear back surrounds), or a 5.1.2 Dolby Atmos configuration (that's to say two Atmos height channels). Which option is best largely depends on taste – and your listening room size. In smaller rooms, and if you have Dolby-enabled speakers to hand, the Atmos layout will probably be the most rewarding option. Perhaps controversially, I’d opt for a 7.1 install in a larger viewing room, to better create a genuine 360-degree sonic wraparound. I suggest this because 5.1.4 (four Atmos speakers) is really required to make an appreciable impact in a larger environment. It’s worth noting that all Dolby Atmos Blu-rays fold down to TrueHD 7.1 when no height channels are utilised. Significantly, the TX-RZ800 is also firmware updateable to DTS:X, the second object-based audio format announced. At the time of this review DTS:X was not available, but the idea is that it’ll adapt to whatever speaker layout you choose. If you don’t opt to utilise any height or rear back speakers, you can always bi-amp your main stereo pair. This receiver’s spec is on the right side of fierce. Onkyo was the first AVR manufacturer to implement HDCP 2.2 copy protection on its HDMI board, so you would expect to find extensive support here. The receiver has seven rear-placed HDMI inputs, of which five support HDCP 2.2. These are also compatible with 4K/60Hz and 4:4:4 colour space, which is as good as any source you're going to enjoy for the foreseeable future. In a sign of the times, one of the inputs is labelled Strm Box – somewhere to jack in your Now TV box. Passthrough is available. In Standby, the last connected source routes through directly to your display, so you don’t need to power up the home Odeon just so the kids can catch up with Peppa Pig. Beneath the front drawbridge, there's also a front-facing HDMI for mobile device or game console hook-up. There are two HDMI outs. You can run two displays simultaneously, or in a main/second zone configuration. Zone 2 is supported with digital audio; analogue stereo goes to Zone 3. Additional rear-side connectivity includes a USB port and the usual legacy input fest; there's also 7.1 analogue pre-out. All composite and component video sources can be delivered via HDMI. Reborn vinyl enthusiast? No worries, you’re covered too. The receiver has integrated Wi-Fi, Bluetooth and AirPlay support. Network services include Deezer, TuneIn radio and Spotify Connect. Rather than employ one of the big-name DACs, the RZ800 utilises a local (to Osaka) Asahi Kasei 384kHz/32-bit job which covers all eight channels. One ongoing criticism of AVRs is their wilful complexity. This usually manifests itself in obstreperous menus, and I reckon it’s a key reason why many buyers have migrated from receiver to soundbar. Thankfully, that’s not the case here. Onkyo has done a fine job making such a complex beast usable. Configuring inputs can often result in a gnashing of teeth if you want to do anything other than route HDMI, but here things fall into place with simple logic. Granted, it’s not the most graphical of environments, but the UI is sharp and responsive. Build quality and design are typically high. Beneath the lid are segregated power and processing blocks, along with a high current transformer which accounts for much of its 17kg weight. New RZ trappings aside, there’s also much that's familiar here; all the usual Onkyo rocket science is in play – Vector Linear Shaping Technology to reduce pulse noise, WRAT (Wide Range Amplifier Technology) non-phase shifted amplification, and so on. However, and this is the key point, the TX-RZ800 doesn't actually sound like a stock Onkyo amp. Having dropped Audyssey some time back, Onkyo now uses its own AccuEQ room/system calibration. This can have a big impact on the sound. Generally, I think AccuEQ is a solid way to get the receiver dialled in. Out of the box, our TX-RZ800 grunted like someone had punched it square on the nose, but following a quick microphone auto-calibration it was sounding a lot more erudite. Additional tweaks are optional, but probably necessary. The RZ800 allows you to levy adjustments on all but the main stereo pair, leaving them full band. Alternatively you can just deploy auto-adjustments across the board. In may ways, the receiver is an exciting listen. When the Sentinels first attack in X-Men: Days of Future Past, mutants run, slide and transport around the 7.1 soundstage with heroic zeal; ice splinters, fire crackles, things break – the density of the soundfield is engulfing. There's no shortage of brawn available. Rated at 185W per channel, the RZ800 has the muscle to dominate all but the most oversized home cinemas. It thumps like Brock Lesnar. Jupiter Ascending (Dolby Atmos) exhibits cute sound design even when there’s not much going on. The waiting room in the Woman's Health and Fertility centre (Chapter 3) places Foley front and back with delicious precision, before Channing Tatum arrives to dispense alien doctors in a maelstrom of noise. This is fun stuff. But there are caveats that become more obvious the longer you scoff popcorn. The opening bombing raid to Unbroken (Dolby Atmos) is a terrific test of bone-rattling dynamics and multichannel steerage. The movie opens with American bombers hoving into view, slowly droning in over a choral opening which floats front to back. Miscellaneous rattles fill every corner of the soundstage, and then the floor drops out of the room as the bay doors open. But when the flak flies, the RZ800 just doesn't muster the dynamics to really startle. The receiver certainly tracks hard and fast. As Japanese Zeros flash past, you can almost smell the aviation fuel. But there's also the hint of a hard metallic edge, a reoccurring trait of its sonic character. It quickly becomes clear that encouraging this receiver above 85dB SPL isn't necessarily a good thing. The UK release of the Metallica concept concert movie Through The Never features a 5.1 DTS-HD MA soundtrack of enormous energy; a 24-bit thunderstorm of guitar riffs and concussive bass lines. Again, while the RZ800 is up for the challenge, at least in terms of bludgeoning volume, it does rather lose the band in the moshpit. The opening to Fast & Furious 6, with its coastal car chase, is all about screaming transients. The stick shifting should feel visceral, thrilling. The TX-RZ800 drives hard, but doesn't quite hit pole position. It's tempting to wonder just how different its RZ stablemate is. The step-up (£1,350) TX-RZ900 lavishes 15W more per channel, has parallel push-pull amp circuit topology on the front channels, and uses a toroidal transformer. By way of contrast, the RZ800 employs an EI type. Generally speaking, toroidal would always be my preferred transformer option in a PCB (Printed Circuit Board)-packed AVR, not least because it’s far less magnetically noisy. There are audiophile advocates for EI transformers, but they tend to eulogise esoteric two-channel amps, rather than reasonably affordable multichannel models. Quite whether the TX-RZ800 falls between two stalls – neither cheap nor expensive enough – remains to be seen. 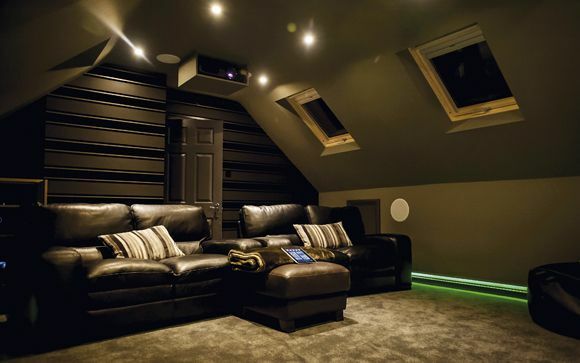 Traditional home cinema fans will feel right at home here, though. The receiver is THX Select2 Plus certified and comes with an extensive selection of THX post-processing modes. It also brandishes paperwork proclaiming THX Certified Amp Quality, which is a new one on me. I still rather like the warmth of THX Cinema, but find it more useful for broadcast services rather than Blu-ray soundtracks. There are additional post-processing modes offered, but I wouldn’t recommend anything other than a cursory fiddle. There’s also a Pure Audio mode that shuts down the display. Beyond that I struggled to discern any impact. The RZ800 is at its very best with high-resolution two-channel sources. The extra dynamics that 24-bit sampling offers injects air and spatial width. File support is excellent. In addition to the usual codecs (MP3, WMA, WAV), there's compatibility with DSD 2.8 and 5.6 (the latter something even Marantz's high-end AV8802A processor eschews) plus FLAC 192kHz/24-bit content. It’s fun with multichannel music, too. Enrique Inglesias’ Dolby Atmos mix of Bailando does everything it should, bopping in the round with a lovely, wide multi-tracked chorus. Like me, it may be bereft of the ultimate sexiness the dance track deserves, but you’ll still gleefully tap your toes. Overall, the TX-RZ800 is not your typical 'stonkyo' multichannel amp. There’s a hardness to its presentation which takes a little bit of getting used to. It doesn’t deliver the slamming transients which set really exciting home theatre amps apart from the rest, either. But let’s not sound overly negative. These reservations have to be tempered by the cost of the big box, and whatever way you cut it, the TX-RZ800 looks pretty decent value. It sounds delectable with high-res audio sources – although prefers unplugged to unleashed – and with DTS:X compatibility to complement Dolby Atmos promised, plus wide HDCP 2.2 HDMI input support, it’s not going to date any time soon. Give it a listen.